The surface that is used to contain the concrete, by means of a framework of a particular shape is called as formwork. This process is called as form working of concrete. The formwork will be removed once the concrete has completely set. These factors hence will demand proper planning and design of formworks. Considering main features in the design and implementation of formwork makes the concreting process error free. Improper execution of the work will result in formwork failures which will create huge loss and accident while concreting. The design of the structure will influence the formwork. This is related to the health and safety of the people during the construction works. Basic and simple concrete design will help to have easy form working making the erection and dismantling of the formwork easy and safe. For complicated in-situ concrete structures, formwork must not be executed without the help of a formwork designer. Such mistakes will affect the safety and quality factors in construction. Formwork must not be executed with a vague idea or information. The designer who is in charge of form working must follow the technical design details and the engineering principles. Design of formwork includes selection of formwork materials, their size, spacing and system for deshuttering etc. Always avoid hurry burry in formwork installation. The work has to be done progressively so that the safety of life and stability of formwork structure is guaranteed. Containment screens around the perimeter of the formwork to avoid falling of object outside the form area. Formworks must not be put into use without proper inspection. Proper inspection will include pre-loading. Inspection of the same will help to avoid the risks during the construction of formwork. Inadequate bracing provided as support. The bracing provided must have sufficient load carrying capacity. Placing and pouring of the concrete not performed properly. Support of formwork placed in unstable soil. Formworks must be rigid to bear the design loads without changing the desired shape of the concrete. The formwork has to be stable and strong. The design of formwork must be such that it is handled properly without affecting the dimensional stability. Handling of formwork has to be done properly so that it can be reused. Proper planning of the formwork before placement has to be performed. 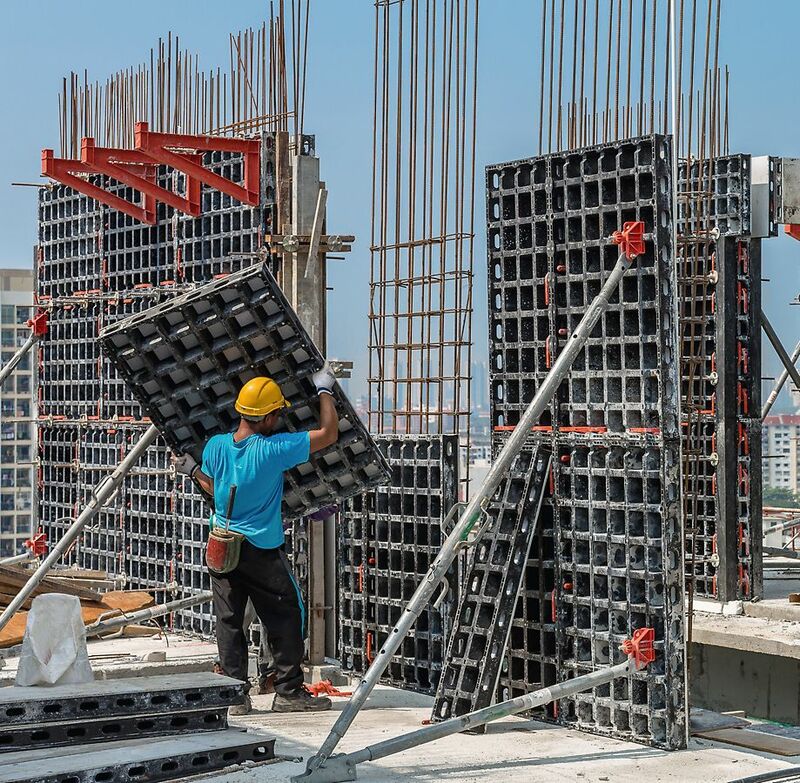 Formwork is planned based on the stripping requirements, construction joints in structure, equipment used for handling the material and sections, the weather conditions, mixing and placing of concrete. The formworks must lie over a base that is strong and if lying on the ground it has to be water resistant. The placement of the formwork has to be done in a such a way that the desired line and level of concrete surfaces are achieved. Joints in formwork must be tight so that leakage of cement slurry is avoided. 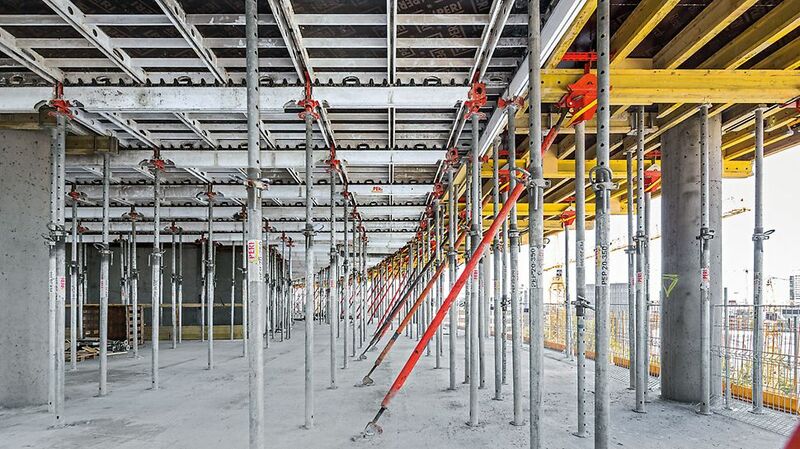 Proper propping and bracing of the formwork both horizontally and vertically is another important requirement. Rigidity in all aspects helps to get a quality product of concrete, and i.e. line, level and safety. The formwork must withstand all dead and live loads. Protection of the construction site will help in avoiding vandalism of formwork. In case of formwork removal for slabs, columns and beams, vertical faces have to be removed first. This is because the vertical face carries no loads compared to horizontal formwork. Improper design of formwork can result in bulging observed in columns and deep beams. If the formwork is not designed to take wet concrete pressure such issues are seen on the surface. The bulging is observed after the removal of formwork. The corners of the concrete have to be properly sealed to avoid leakage and bulging. Before concreting, adequate space must be provided for the access of workers who have to carry out placing of concrete, compacting and finishing. While the concreting process is carried out, the plumb, levels, the level of surface, the alignment and the camber have to be maintained throughout. The cover of the steel reinforcement provided must not be affected. If the vibration during compaction loosens the wedges and fixings, correction has to be done immediately. Timber, plywood, MDF board, etc. The approval of the formwork materials is done by the engineer or the architect in charge. In projects where a clear surface for the structural element is required, pre mockups have to be performed with the formwork material so that any change in decision of material chosen can be made. Timber as formwork material has been used since centuries. The formwork system can use combination of two materials. Permanent forms are used in the construction of floors or the roof slabs that are constructed over the beams or the steel joists. These forms will remain even after the concrete have developed the design strength. Metal deck forms are example of such forms. Next PostNext The Many Applications of Laminated Glass!